Dana is licensed by the Ohio State Medical Board. Licensed by the Ohio State Medical Board means that Dana Begley is medically qualified to remove hair. 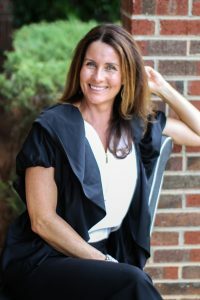 She also holds licenses through the North Carolina Board of Electrologist Examiners, the North Carolina Cosmetic Arts Board, and the Ohio Cosmetology Board of Aesthetics. She was Nationally Certified in 1994 and has completed advanced training in Laser Hair Removal. She has been attending laser seminars since 1997. Dana completed courses at Rocky Mountain Laser College in Denver, CO (which is approved by the Colorado State Commission on Higher Education) and LightSpeed Laser Center in Naples, FL (approved by the Electrolysis Council of the Florida Board of Medicine). She is an active member of the Greater Piedmont Electrology Association and the Cosmetic Therapy Association of Ohio. She has served as adviser to the Aesthetic Department of the Green County Career Center in Ohio and is former Secretary to the Cosmetic Therapy Association of Ohio. My career in hair removal began many years ago. I was 14 years old, sitting on the bathroom vanity anxiously awaiting for my mother to apply her cure for my “peach fuzz”. My mother had been cutting hair for 22 years and felt she could remove it just as well. She applied a hot sticky substance to my face and we waited with curiosity as it hardened. Then with absolute confidence she attempted to rip it off. Well it didn’t budge, evidently we let it harden too long and unfortunately had applied it all over my face. In this time of panic I revealed a language to my mother she’d never heard me speak, the more she ripped the more fluent I became. I did heal physically from this and we got a little better at the trade of waxing. Over time the hair got much worse and I searched out a permanent solution – Electrolysis. It took fourteen Electrologist to find a good one, since training is not standardized, but I finally got the permanent results I was praying for. Now it has been over 22 years, three successful practices and thousands of happy clients since I received the State Medical Board License to practice Electrolysis. I bought my first laser for hair removal in 1994. The results I receive in removing hair permanently and long term are astonishing. The reward I get for doing it is quite personal. 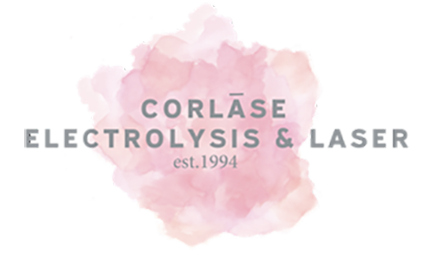 I am Dana Begley, Licensed Medical Electrologist and owner of the Corlase Electrolysis & Laser. Through personal experience, continual education and listening, I get to the root of the problem. If you or someone you care about is battling with a little or a lot of unwanted hair, give us a call – we can help. Call us today at 919-460-1884 our fill out the contact form below to schedule a free consultation with Dana.